For several decades the UK government has been attempting to encourage individuals to save money as a way of helping to secure their own financial futures. As well as through various public information programs, the main form of encouragement has been the establishment of tax-free savings vehicles. 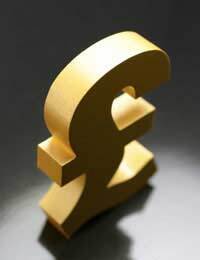 In April 1999, the Individual Savings Account, or ISA, was established in the UK. This product was designed by the government and replaced the PEP and TESSA (although those with money already invested in these plans could continue their investment). The ISA is a tax-free savings product, the aim of which was to make Tax-Efficient Saving accessible to everybody. The 2010 Budget (the Labour government's last) made some significant changes to the way in which ISAs are taxed. Broadly speaking, you can now save a total of up to £11,520 in an ISA, tax free, in the 2013-14 tax year. This limit will increase with inflation every April. You can use this threshold in a number of different ways. You can use half of your threshold for cash savings – so, you can put up to £5,760 in cash in an ISA without attracting tax. The remainder can be used for stocks and shares. This arrangement replaces what were previously known as mini and maxi ISAs, where investors could place cash in one account and stocks and share investments in another. Instead, the ISA should be thought of as a tax wrapper for a range of different savings. You will have an ISA account with a bank or building society which is, in effect, just like any other savings account with an annual threshold. The ISA rules then act as a tax shield around that account, protecting your savings and investments from tax as long as you do not exceed the threshold. Indeed, you cannot exceed the threshold – savers are not permitted to put more than £11,520 in an ISA during the 2013-14 tax year. The great selling point of the ISA is, of course, their tax-free status. No income from the cash component is subject to any form of taxation, and the only portion of the stocks and shares component on which duties will be levied is 'cash awaiting investment', which is subject to a 20% flat fee. However, very few people have investments like this. Furthermore, cash ISAs are generally instant access, meaning that you will be able to get to your cash in a minimum amount of time if you found that you needed it. There are additional investments/bonds that you can addition to your ISA allowance as explained here by Scottish Friendly. If you are interested in an ISA, the range of options can be staggering, with many high-street banks offering significantly different packages. In 1999, the CAT Standard was established, offering consumers a way of judging a prospective ISA provider. Standing for Charges, Access and Terms, the Standard ensures that its adherents comply with a basic set of terms covering each of those three areas. The vast majority of ISA products comply with this standard, however, and so you may well need to investigate individual deals more closely in order to ensure that you are getting the best package.